The epic struggle between two superpowers of Antiquity will be soon recreated on the tabletop, with the release of the board game Hannibal & Hamilcar: Rome vs Cartage. About 20 years after its first edition, one of the best two-player games ever published is back in a new and updated edition - easier and faster to play - and including a companion game – Hamilcar. Hannibal: Rome vs Carthage, designed by Mark Simonitch, is a card-driven political game, renowned for its tense, well-balanced mechanics. 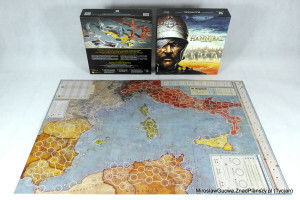 The game has won numerous awards, including the Golden Geek Best 2-Player Board Game Award and the Golden Geek Best Wargame Award, and is ranked 11th on the BoardGameGeek.com's Wargame Rankings. 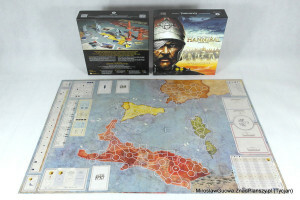 Hannibal & Hamiilcar: the double-sided board - view of side 1. The double-sided board - view of side 2. 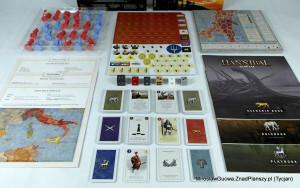 Players use Strategy Cards for multiple purposes: moving generals, levying new troops, reinforcing existing armies, gaining political control of the provinces involved in the war, and introducing historical events. When two armies meet on the battlefield, a second set of cards, called Battle Cards, are used to determine the winner. Ultimately both players seek victory by dominating both fronts: military and political. The game, set during the Second Punic Wars, presents a classical ancient conflict between two leaders that has, in many ways, defined our modern reality. It took Rome over 100 years to win the competition with Carthage and three long wars were fought in the process. Hannibal brings it to the tabletop from a classical Clausewitzian perspective, according to which a power only reverts to military operations when there is no other way to achieve its goal of political dominance. The 20th Anniversary Edition of the Hannibal: Rome vs Carthage includes new scenarios and variants, with certain game mechanics streamlined, while producing the same game results as the golden classic. The game original rules and components were updated by Mark Simonitch and Jaro Andruszkiewicz, and it has received stunning new art. “The 20th Anniversary Edition of Hannibal: Rome vs Carthage was designed and published with an aim to revive the game, fine tune its mechanics, remaster the art and components and bring in more game play,” Andruszkewicz said. 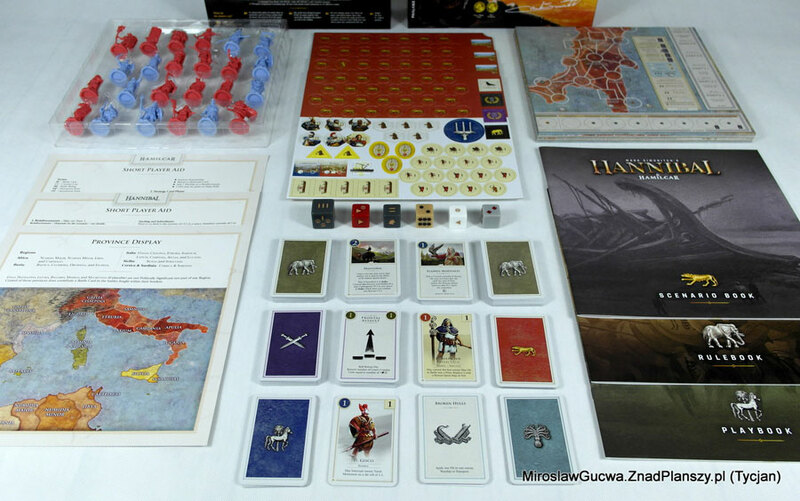 A view of the game's components. In addition to the original scenario, the updated version brings ten new ones, plus three short campaigns, and a tutorial book to introduce the rules to the new players in ‘read and play’ format. 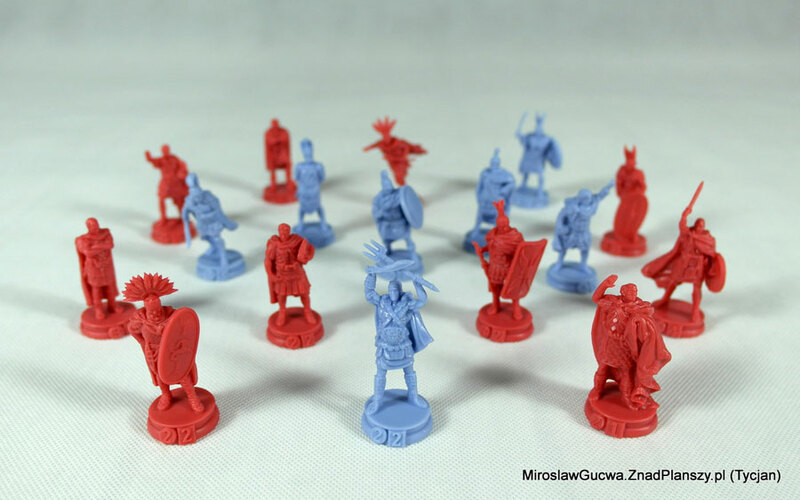 The components include 24 miniatures in the box, representing over 40 military leaders of the era, 220 cards, divided into several decks - including new Naval Tactics deck. Each of the Strategy Cards has been individually illustrated helping the players to fully immerse themselves in the game’s theme. Several new features also have been added: the underlying map has been redesigned so that distances between the spaces on the map are similar across the board; a Political Display has been introduced, which helps to keep track of the control of areas; various tables were removed and translated into custom dice with a clearly set goal to allow to play faster, with the same results from the probability perspective as the original design. The tables are still included in the box, and can be used for one player. Some of the figures featured in Hannibal & Hamilcar. This edition also includes the long-awaited Hamilcar companion game - a stand-alone game using similar mechanics, set during the First Punic War. 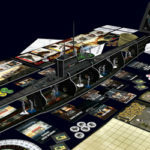 Hamilcar introduces a naval system and exciting naval battles. Both players compete for control of the Mediterranean Sea, in a conflict which will be described as the first war between “an elephant and a whale” - the struggle of a land-based empire versus the world’s naval power. Rome's goal was to break through the island chain of Sicily, Corsica, and Sardinia - Carthage's defensive line to contain Rome on the Italian peninsula. To include two games in one box, PHALANX has created a double-sided game board with new stunning artwork by Piotr Słaby. Hannibal & Hamilcar: Rome vs Cartage is published by PHALANX, with its English edition to be distributed by Ares Games worldwide, excluding Europe. It’s expected to release in April/May 2018. Stay tuned for more information about the game. In the next articles, read more about the game! Credit: pictures by Miroslaw Tycjan Gucwa.